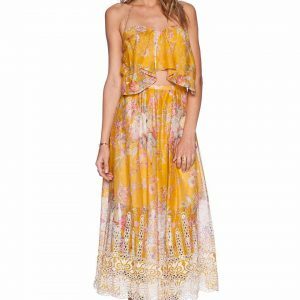 This is a Zimmermann Size 0 (US 2-4). 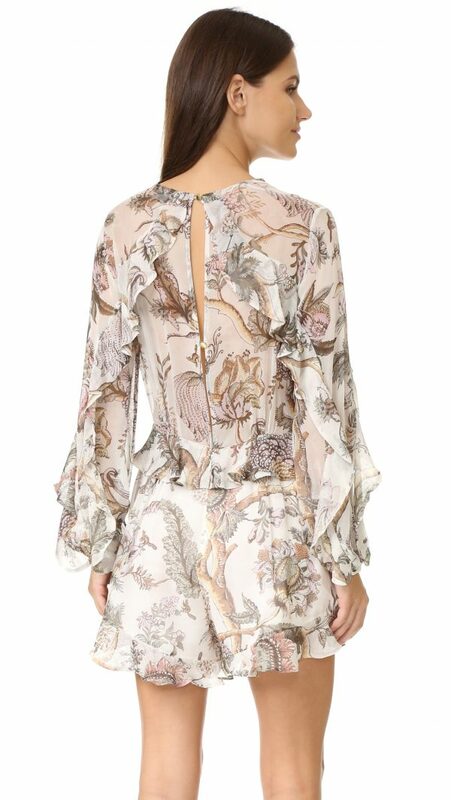 A blown-up floral print lends a graphic touch to this chiffon Zimmermann romper. Ruffles flow along the long sleeves, and matching trim accents the seamed waist and leg openings. Divided back panel with button closures and hidden back zip. Lined. Shell: 100% silk. Lining: 100% polyester.